Here at Ron’s Auto and RV & Auto Care we are deeply involved in auto racing. With multiple championships we dedicate the same efforts to our racing as we do to your vehicle. 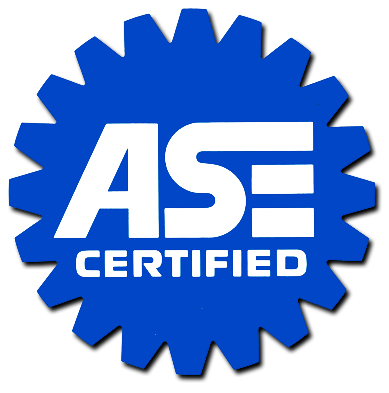 We are experts at racing transmissions, fabrication, racing engine building, racing chassis set-up, and racing fuel injection. Hi, my name is Bobby Edwards and I am a racecar driver. It is something that I have wanted to do since I was a little kid. 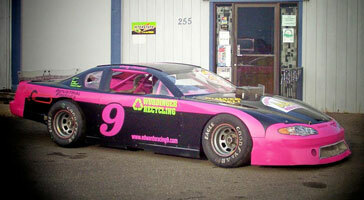 In 2006 I was given the opportunity from someone who I had supported by sponsoring his Street Stock. He decided that he did not want to race anymore and gave me his race car! The rest is history! The story is that I had been a behind the scenes kind of guy for years, supporting other racers through sponsorship and assistance at the track. Wow, I didn’t know anything! Actually getting in the car and strapping in was so different and a little bit scary- until I got out on the track. Then the fun started! 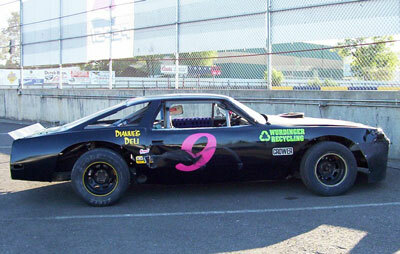 Since first racing my street stock, I have raced two different Hard Tops-aka old timers at Coos Bay Speedway as well as 2 Different Hard Tops for different car owners at Douglas County Speedway. I have finished in the top three in every one of those races. My first full season in the Street Stock, I finished 6th in points. The next season I bumped up to the Super Stock class and purchased my current car. It is an old Late Model. The season was filled with a lot of learning and I was crowned the 2008 Super Stock Champion! During the season I decided to race my Super Stock with the Late Models and was crowned Late Model Rookie of the Year! I finished 8th in points in this class. As a racer I have been very successful and am very well respected on and off the track. Due to economics and a couple of injuries to my body, I have been unable to race the last two seasons, but have a clean bill of health to go for it in 2011. I have chosen to step up to the Late Model class and focus on just that for this season. I am currently in need of sponsors to help with the finances of racing. I have fulfilled every obligation to each and every sponsor that has supported me since day one as I realize that they are as much a part of the team as the car and I are. I did not lose a single sponsor from one season to the next and even had people come to me and ask to sponsor my team. These are the kind of relationships I wish to grow for my race team. People want to be a part of positive things and that’s exactly what they get. We are out there every race having fun and behaving appropriately-no unruly behavior allowed in my pit-period. So please climb aboard and be a part of an awesome race team! We look forward to a long and lasting relationship.